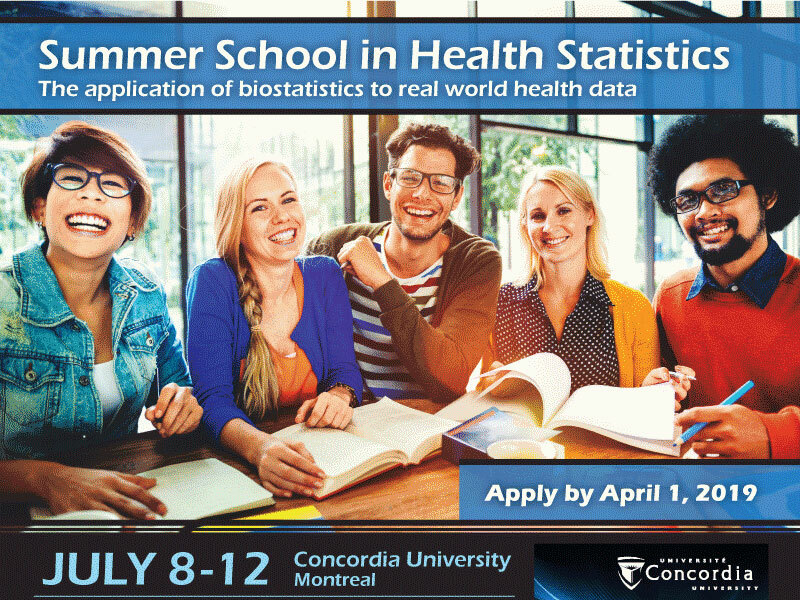 Concordia University’s Health Statistics Summer School will explore the application of statistical methods and techniques to health-related data. Statistical techniques will be married to a variety of different methodological designs used in health research such as longitudinal studies, clinical trials, and bioimaging studies. Issues around data capture and manipulation will also be explored.